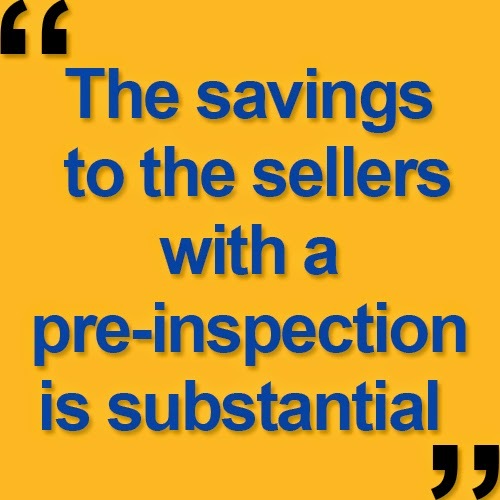 What Are the Benefits of a Pre-Inspection? | Leugers Group, Florida Real Estate Blog Leugers Group, Florida Real Estate Blog: What Are the Benefits of a Pre-Inspection? What Are the Benefits of a Pre-Inspection? Hey everyone, today we are here with Louis of Tru-Check Home Inspections at beautiful Fort Meyers Beach. We are ready to get in the water, so we are going to make this post short and of high-value for you. As a listing agent, one of the biggest problems I see in sales is when the buyer orders a home inspection, and the next thing you know, they are asking for a big price addendum return asking for more money from the seller. We want to make sure this doesn't happen to you, but how do we do that? One of the easiest ways to prevent this type of situation from occurring on your home sale is by getting a pre-inspection done on your home before you list it. A pre-inspection will run through all the systems in your house, including electrical, plumbing, A/C, and furnace, and make sure they are in proper working order. Louis often sees a ton of low-cost mistakes come up during inspections. This is a good thing because getting all of that out of the way with a pre-inspection allows you to fix the problems that need addressing and adjust your home's price accordingly. 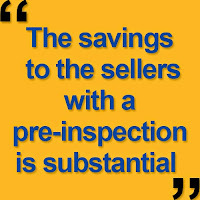 The savings to the sellers with a pre-inspection is substantial. Usually, buyers ask for a lot more than repairs actually cost, so you can save yourself quite a bit of money by getting this done and making this one minor investment ahead of time. If you have any questions for us, we'd be glad to answer them. Feel free to give us a call or send us an email!